The Government of Maharashtra had formed a Committee as a response to a Public Interest Litigation filed by Smt.Swati Patil against the problems related to excessive weight of school bags and its ill effects on children’s health. Today, the said Committee submitted its Report to a Division Bench of the Bombay High Court comprising Justices VM Kanade and BP Colabawala. 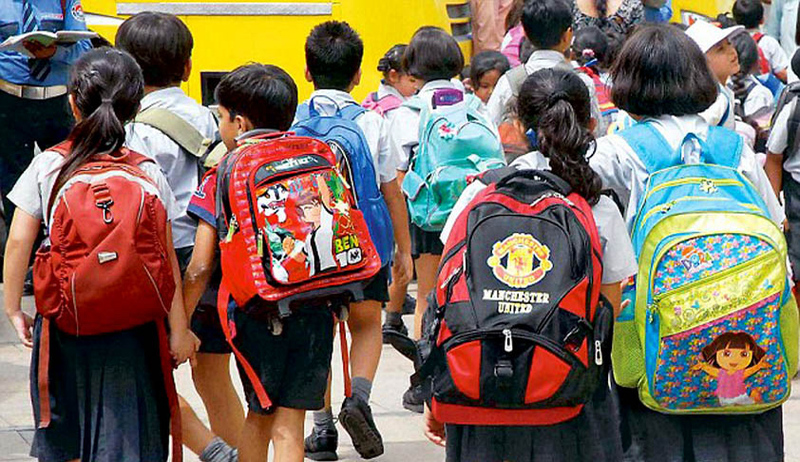 According to the Report, children carry heavy and bulky school bags not suitable for their age capacity and as a result, 58 per cent children below the age of 10 years suffer from orthopaedic disorders. The Court remarked that, "soon children will have to carry trolley bags as the backpacks they carry at present is not enough." The Court stated that students need to carry every book (textbooks and notebooks) to school because all the subjects are taught every day. In that context, Justice Colabawala suggested that there needs to be a revision of the time tables that are prevailing in schools currently. The Court observed that having lockers in schools where children can keep their textbooks instead of carrying it daily would not be an adequate remedy because then the children would not be able to study at home. The Report includes recommendations such as using one book for three months for each subject, textbooks with weight less papers and without hardcover to reduce bag weight, use of e-classroom, audio- visual technology and other technologically advanced methods of teaching. It has been informed to the Court that the Government has accepted the Report and its recommendations.The Court directed the government to file its response by July 23rd 2015. The bench also asked the Government to inform the Court by when the suggestions made in the Report would be implemented.